T.S. 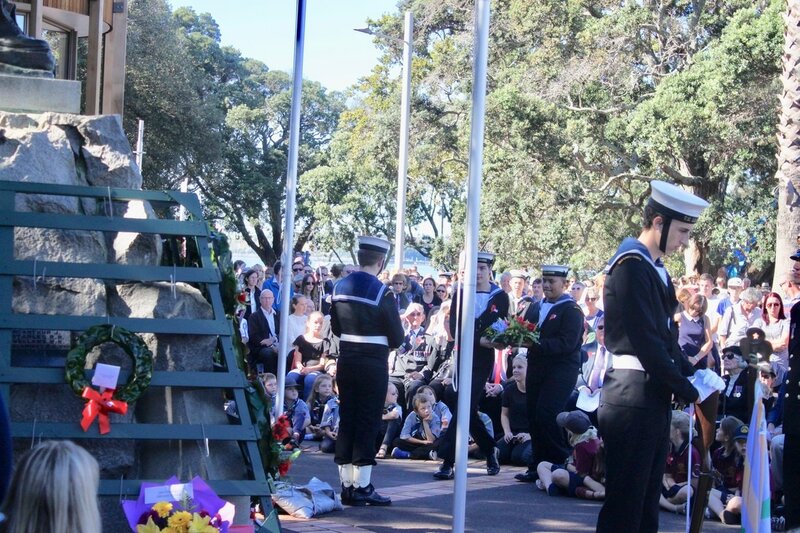 Leander participated in two Parade's this ANZAC Day: a morning service on the Navy base at 08:00, and the Devonport ANZAC Day Parade at 10:00. This year T.S. Leander was joined by cadets from T.S. Achilles for the annual parade inside H.M.N.Z.S. Philomel. 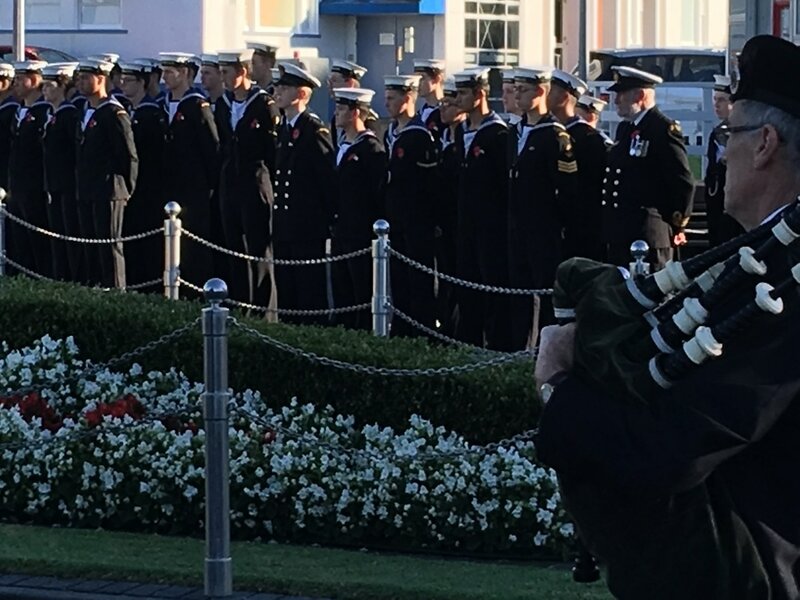 The parade was run by the RNZNVR unit; H.M.N.Z.S. Ngapona. 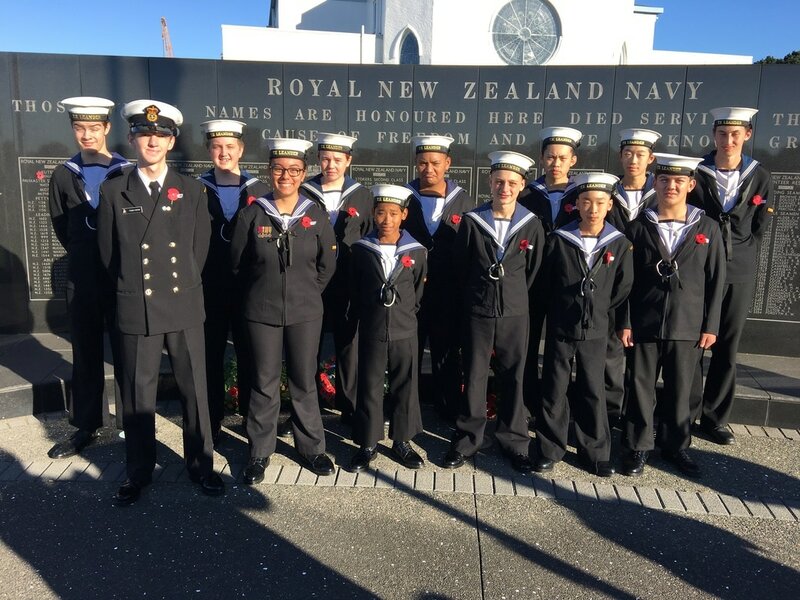 The basic trainees from H.M.N.Z.S Philomel and the RNZN Pipes and Drums Band also participated in the service. The Devonport Anzac Day parade is the main Anzac Day commitment for T.S. Leander. Each year T.S. 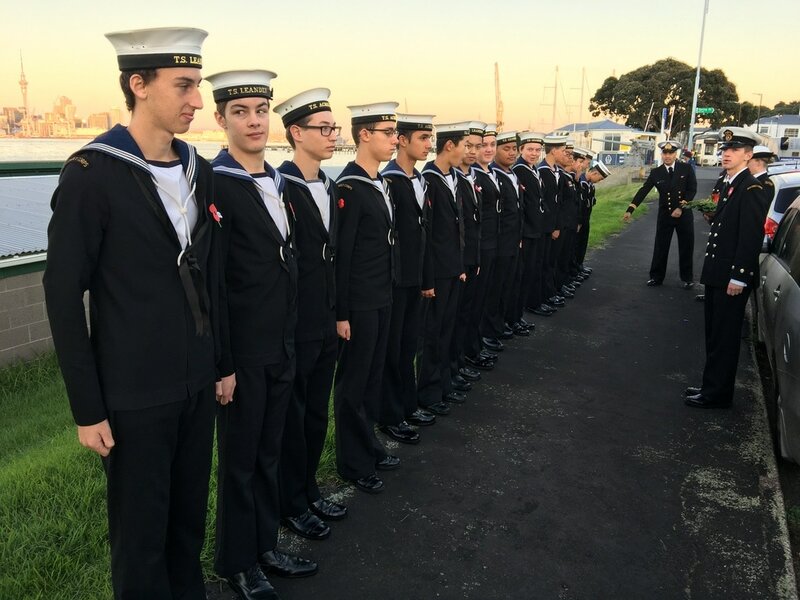 Leander assigns cadets to do various activities for the Devonport Anzac Parade. Five cadets were detailed to guard the Cenotaph. Two cadets lowered, then raised the Australian and New Zealand National Flags. 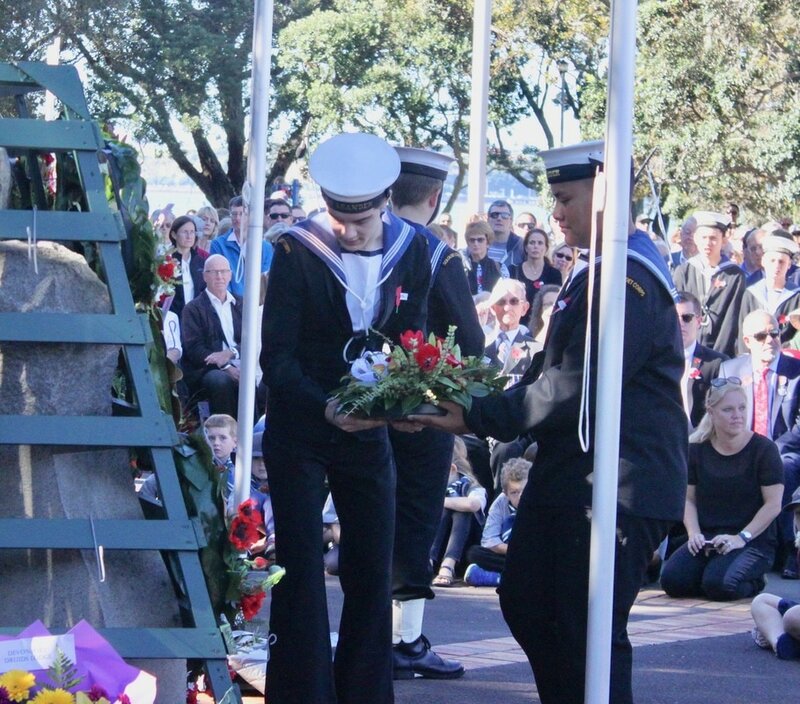 A further two cadets laid a wreath on behalf of the T.S. Leander Ships Company. The rest of the cadets marched down Victoria Street in the parade. 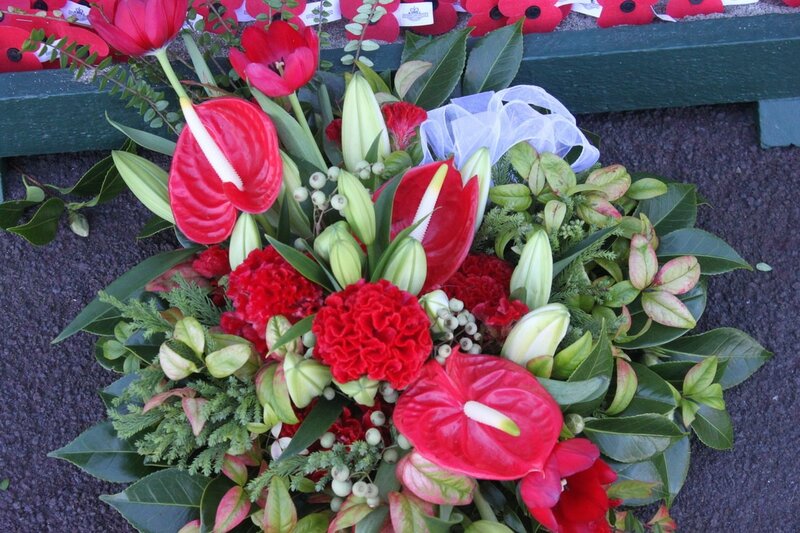 The Cenotaph Guard comprised of four members: LCDT Porter, ACDT Aroa, ACDT Gair-Ah Siu, & ACDT Murahidy; one reserve: NECDT Pieters; and a Guard Commander: CPOCDT Porter. The guard carried out their duties to a great standard, and several members of the public commented on their remarkable actions during the service. 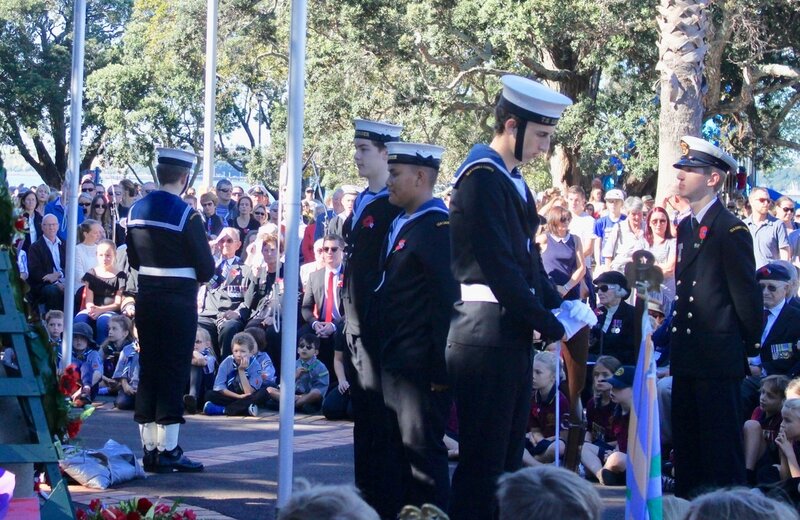 NECDT Li and NECDT Pieters were selected to lower the Australian and New Zealand National Flags to half mast during the Last Post. The flags were fully raised during the Reveille. In addition to this; ACDT Brand and NECDT Kuluka laid a wreath in remembrance to the fallen soldiers on behalf of the Ships Company of T.S. Leander.